Home/Business space clearing/blessing: clear inappropriate energies; renew love and power in your life/business. 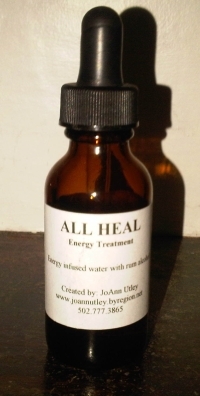 Creator & Distributor of ALL HEAL Energy Treatment essence. It is interactive and can be used for anything. One sets the intention for use; takes 1 to 5 drops for immediate support for 2 – 3 times a day—more if needed. One can take 10 -15 drops or more for a full energy treatment--must have at least 30 minutes before having to be active or can take it at bedtime. It is wonderful for meditation or before doing energy treatments as well as it moves one into a relaxed quiet brain wave. Great for general relaxation, pain relief, & for increased energy /healing depending on what one needs at the time of taking it. Completed Landmark Education Curriculum & varied seminars. In my classes and sessions, my goal is to facilitate knowledge of the Divine connection and reconnect in a powerful way to the Divine Self thus activating your Internal Healer. Together we remove that which interferes with you knowing your true power, health and magnificence. All illness and stuck areas of your life have at their base energy blocks which are caused by negative beliefs and emotions. These are typically unconscious and therefore difficult to identify and heal by oneself. In sessions and classes these are cleared, and you are given extra energy with which your body and self will heal. Sessions are an hour and are $85. Appointments available Monday - Friday. Morning, afternoon, & evening appointments available. Some Employers Flexible Benefits Programs allow people to use their pretax contributions to pay for sessions. Check with your program to see if they cover these services. 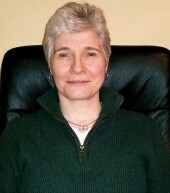 Experience with traumas, phobias, depression, anxiety, pain relief, general stress reduction, etc. All sessions utilize counseling in addition to energy work to break up stuck energy and promote relaxation, peace and positive thinking. This is a complete energy treatment in an essence combination. It is interactive and can be used for anything. You can put it directly in your mouth or in your water or any liquid or food. It is wonderful for dropping into a meditative brain wave for actual meditation or before doing energy treatments as well. It is great for general relaxation, pain relief, and for increased energy and healing depending on what one needs at the time of taking it. Since this combination works just like an overall energy treatment you can set your intention for healing, manifesting or clarity on an issue. This combination is alive and works for the Best Good and in alignment with one’s intentions when taken. It is immediately relaxing and initiates a meditative Alpha brain wave just as happens in an energy treatment on the table or in deep meditation. All Heal contains the 4 Usui Reiki symbol frequencies, 2 Tibetan Reiki symbol frequencies and all 12 Karuna Reiki symbol frequencies, Reconnective Energy, Switchwords, an Energy Clearing Prayer, a Centering Prayer, all of the BioGenesis Tools, Wheels and Rings with Sacred Geometry in the BioGenesis Wing Water treated to remove toxins and energized with the Earth’s grounding energy. I have regular strength and Xtra Strength (which is at least 6 times more powerful) in 1oz and 2oz bottles. Discounts for orders over 15 bottles -any mixture of strenght and size. Being & Living in the NOW!